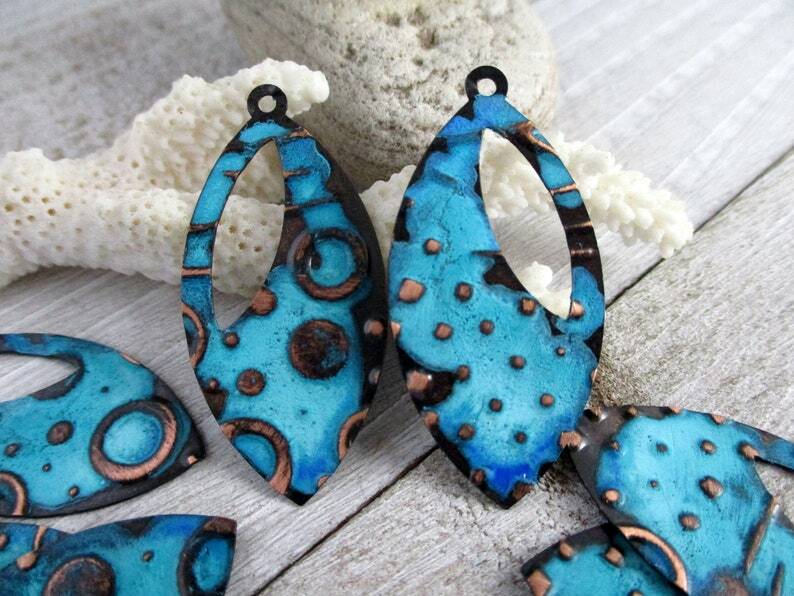 24 gauge copper, embossed with a dot, dash & circle abstract design and finished with deep brown and blue/green patina, with copper highlights. You get 2 random pieces from this batch. Very limited supply of these small batch handmade charms.